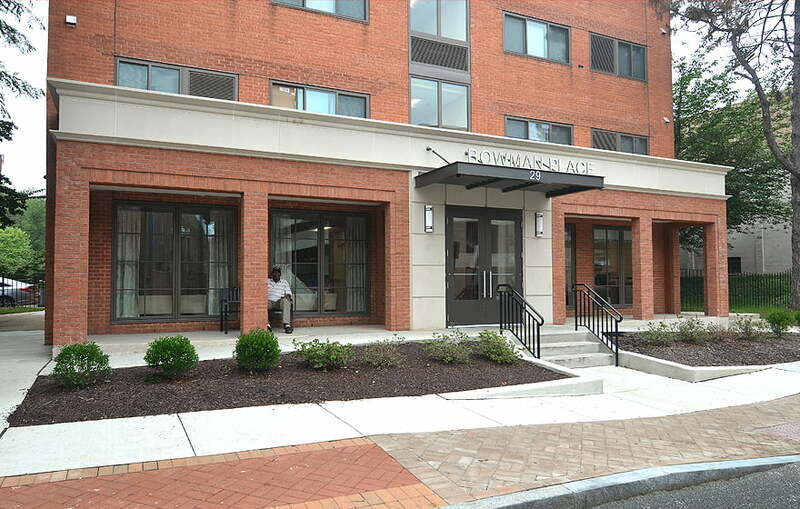 Work on Bowman Place (formerly known as Timothy House and Gardens) has officially been completed, and the project dedicated, at an event held in the newly renovated Multipurpose Room. Community leaders- including Michael Busch, Speaker of the House; Mayor Gavin Buckley; Kenneth Holt, Secretary, Maryland Department of Housing and Community Development- took time to share their thoughts and gratitude to Homes for America and the entire team for the efforts in the transformation of this community. We began schematic design on this project in 2015, with a vision to give the residents a safe and comfortable place to call home. As the project moved forward, we began to really see the effects of the deferred maintenance and that the properties were truly at the end of their useful life. To address these issues and others that surfaced required so much more effort from the team to bring the properties up to that standards that were defined at the onset of the project. This effort, along with endless patience from the residents, set the course for the success of the project. We are proud of our team and more importantly happy for the residents and the “new” place they get to call home.